Kicking off the series, we get to glimpse of Dale's life and why James 1 has had such a lasting impact on him. This week we hear about Mary's favorite passage found in Matthew 25, and how it encouraged her be involved in a local ministry. We why John 21:7 mean so much to Olivia, then Justin digs deeper into the verse. This week we get to hear how a verse in Romans changes Tanner's perspective on life and how he lives his. We hear from Amanda about the encouragement she found in Mark 11:23-24. We hear from Dave and how he has become a caretaker of God's creation. Danielle shares some verses that have encourage her to seek God instead of the idea of "perfectionism." 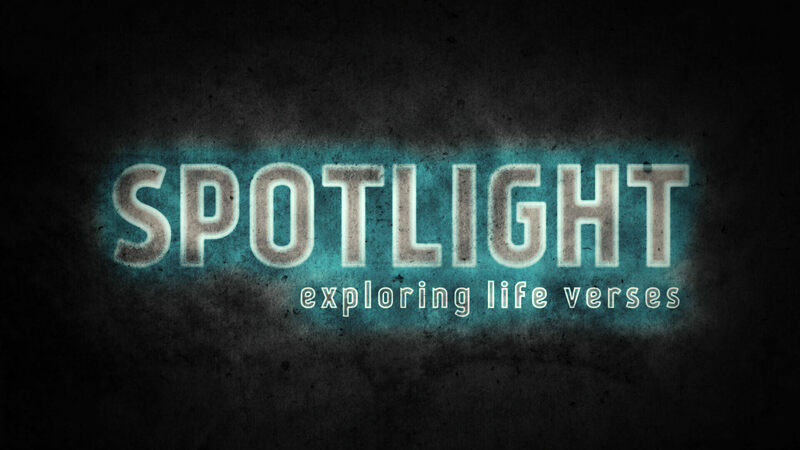 Wrapping our spotlight series, we hear from Fred about his early days as a believer.